The Lee Kuan Yew World City Prize is a biennial international award to recognise individuals and organisations that have made outstanding contributions to the creation of vibrant, liveable and sustainable urban communities around the world. It seeks to recognise individuals and organisations responsible for urban initiatives that display foresight, good governance or innovation in tackling the many urban challenges faced by cities. These urban initiatives can include (but are not limited to) urban planning projects, urban policies and programmes, urban management, as well as applied technology in urban solutions. These urban initiatives should incorporate principles of sustainable development and demonstrate an ability to bring social, economic and environmental benefits in a holistic way to communities around the world. The Prize will also place an emphasis on practical and cost effective solutions and ideas that can be easily replicated across cities. Through this prize, Singapore hopes to facilitate the sharing of best practices in urban solutions among cities and spur further innovation in the area of sustainable urban development. The Lee Kuan Yew World City Prize Laureate will be presented with an award certificate, a gold medallion and a cash prize of S$300,000, sponsored by Keppel Corporation. NEW YORK, Jan 13, 2009 (BUSINESS WIRE) -- On January 12, MIT fellow Neri Oxman was named winner of the first The Earth Awards. TED Prize winner Cameron Sinclair and Datin Azrene Abdullah presented the award to Oxman in recognition of her groundbreaking project FAB.REcology, which combines principals of biomimicking with the design and construction of built environments. Master of ceremonies Charlie Rose interviewed all ten finalists in Philip Johnson's iconic Four Seasons Restaurant before the winner was named. The event united some of the world's most influential environmentalists, architects and media to form an elite Selection Committee who chose Oxman. Committee members present included Paola Antonelli, Adam Bly, David Buckland, Antonio de la Rua, Scott Hahn, Peter Head, Graham Hill, Michael McDonough, Barry Malebuff, Sergio Palleroni, John Picard, Suzanne Trocme, Dilys Williams and Kenneth Yeang. Organizers conducted a global search for products and concepts that are sustainable, innovative and essential to improving basic quality of life. The winner and finalists will meet with joint venture companies in the hopes of generating commercial opportunities. The Earth Awards are an initiative of ecoStyle Project established by the Malaysian Government, whose support underpins the government's focus on sustainability in its national policy and development plans. The event was jointly produced by NYC Inc., kontentreal, and IMG Fashion, and sponsored by Tourism Malaysia. Representing Malaysia were daughter of the Prime Minister Datin Azrene Abdullah, Princess Myra Madihah, Ambassador Hamidon & Counsel General Zamruni. Prime Minister Dato' Seri Abdullah Haji Ahmad Badawi noted, It's an honor to be part of this event, and I applaud The Earth Awards for fostering a critical dialogue and spirit of innovation in response to the global energy crisis. Finalist projects Engaged Offsets, Iluma, and Open Blue Sea Farms were recognized with honorable mention. The top ten also included 12 Climate Entrepreneurs, Earth Markets, Folded Bamboo + Paper Houses, R3, ROSS, and Warning Bulb. 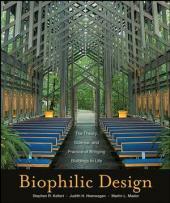 Buckminster Fuller Challenge: SEE THE MOVIE! The good news -- we’re acquiring the right technology. The bad news -- we’re still doing it for the wrong reasons. Bottom line: life support systems are critical. Bucky had it right. “You never change things by fighting the existing reality. To change something, build a new model that makes the existing model obsolete." Thats why The Buckminster Fuller Institute is awarding a $100,000 prize each year for comprehensive solutions that radically advance human well being and ecosystem health. 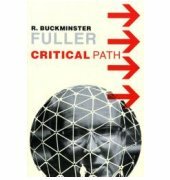 STEP UP TO THE BUCKMINSTER FULLER CHALLENGE. JOIN THE VANGUARD OF THE DESIGN SCIENCE REVOLUTION.